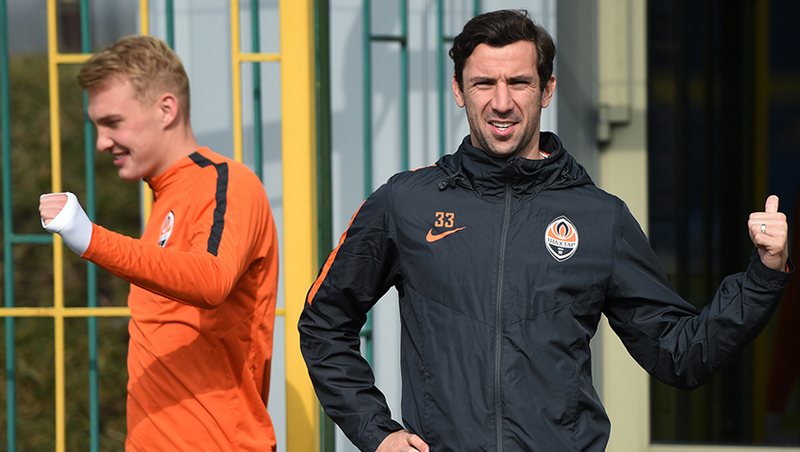 On the morning of March 9, the team gathered together at the Bannikov training facility. Before the start of the training session, Paulo Fonseca held a small theory session, followed by a training session on the field. For two hours the Pitmen performed tactical exercises, completing the session with a two-sided game across the pitch. The general group does not include the injured Dentinho. Mykyta Shevchenko also got a minor injury. The goalkeeper follows a personal training programme. We want to remind you that the domestic Premier League round 21 meeting Zorya vs Shakhtar will be held at the OSC Metalist in Kharkiv on March 12. The game kicks off at 19:30. You can buy tickets for the match at the stadium ticket office, online on shakhtar.com, the partner sites tickethunt.net, internet-bilet.ua and e-sport.in.ua, as well as at the retail outlets of the city.